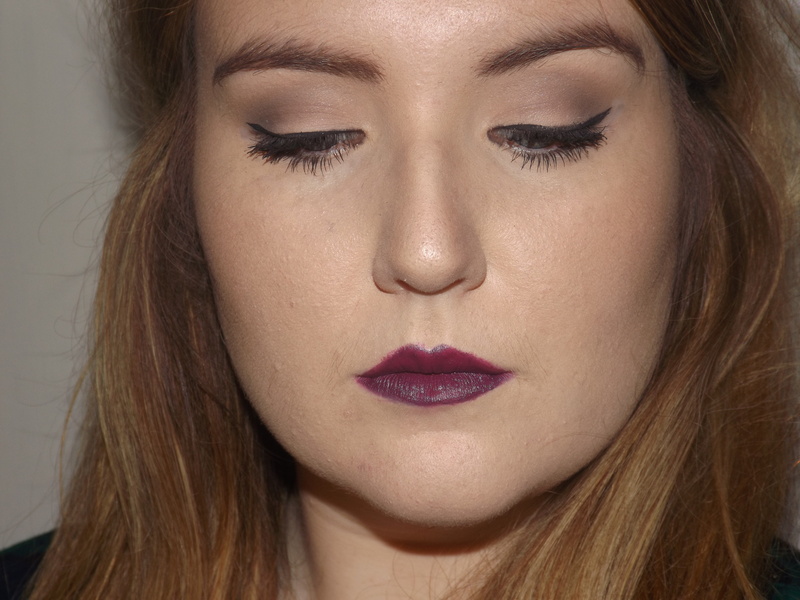 Winter Make-up Tutorial: Matte Eyes and Deep Purple lips. 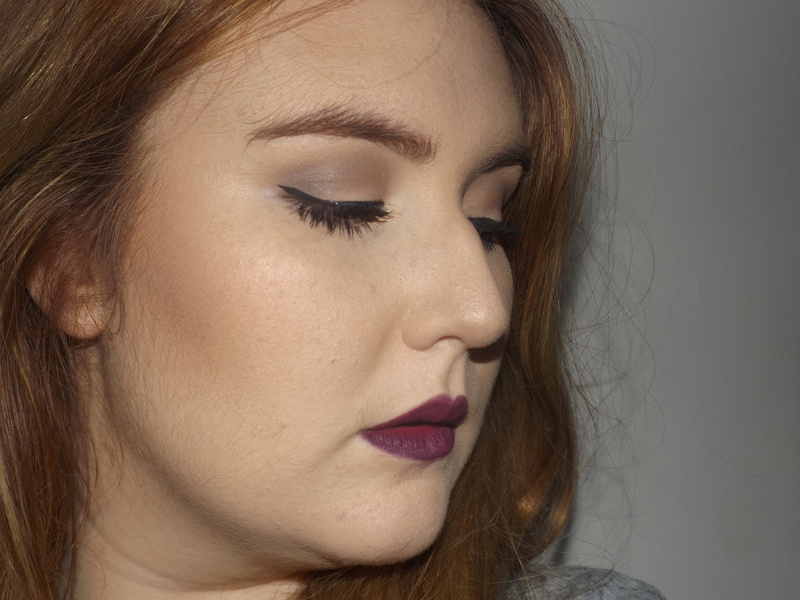 I posted the below picture on my Blog’s Facebook page (https://www.facebook.com/pages/The-Belle-Of-Beauty/454154621383910?ref=aymt_homepage_panel) a couple of days ago because I am planning on doing a video for this look which I will do in the next few days so I decided to tell you all on here how I achieved this beautiful look perfect for these winter months. 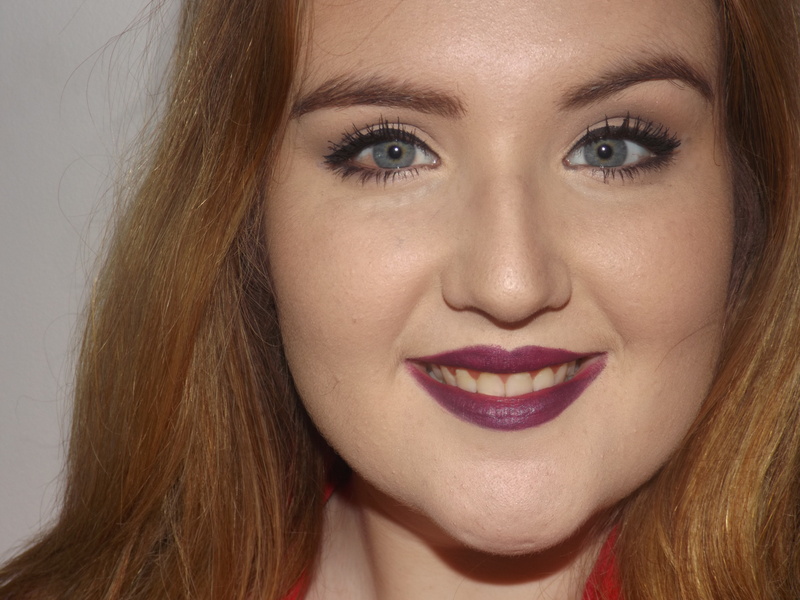 what I wanted to do with this look was to keep my eyes completely matte and natural and then make my lips pop so here is the look and how I achieved it. so for this tutorial I am skipping past my foundation contour etc. 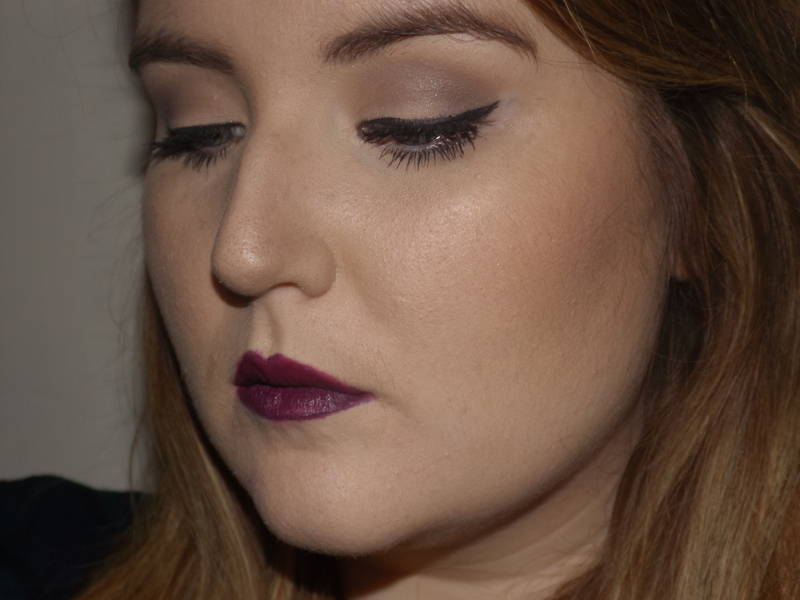 because it is the same as my previous tutorial so if you would like to see that click here – https://thebelleofbeauty.wordpress.com/2014/11/10/quick-and-easy-smokey-eye-tutorial/. 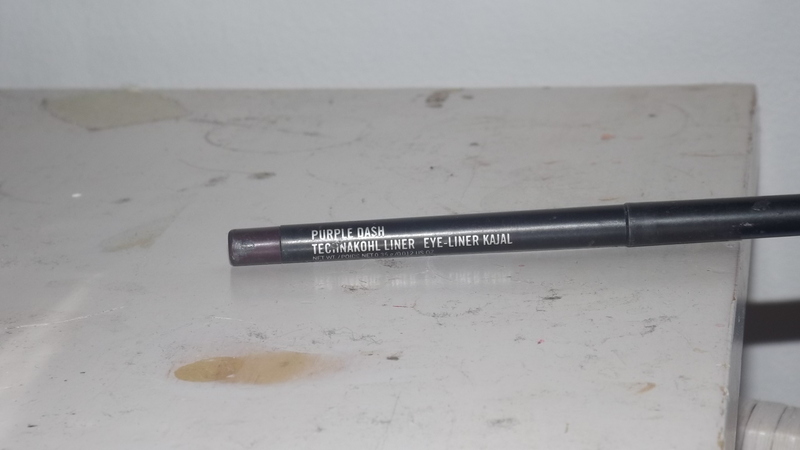 To start off my eyes I blended some concealer into my eyelid, this will just ensure your eye shadow stays on throughout the day, you can use a primer if you normally do but honestly a concealer does the same job. The first colour I took was the shade Unwrap from the Ever After Palette by Make Up Academy which is an all matte palette. 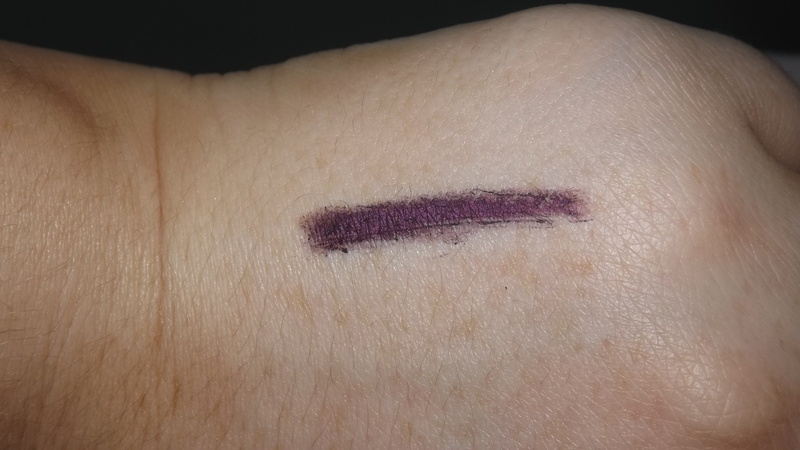 I put this colour all over my lid and bring it the whole way up to my brow bone. 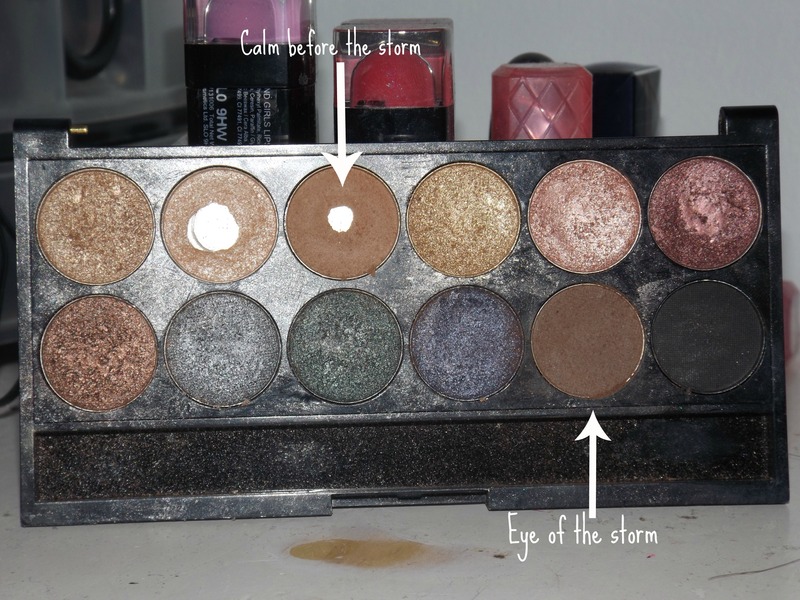 Next I defined my crease by taking the shades Calm before the storm and Eye of the storm from the Storm Palette by Sleek. I am just blending these colours into my crease where you can feel your bone keep blending until you are happy with the result. 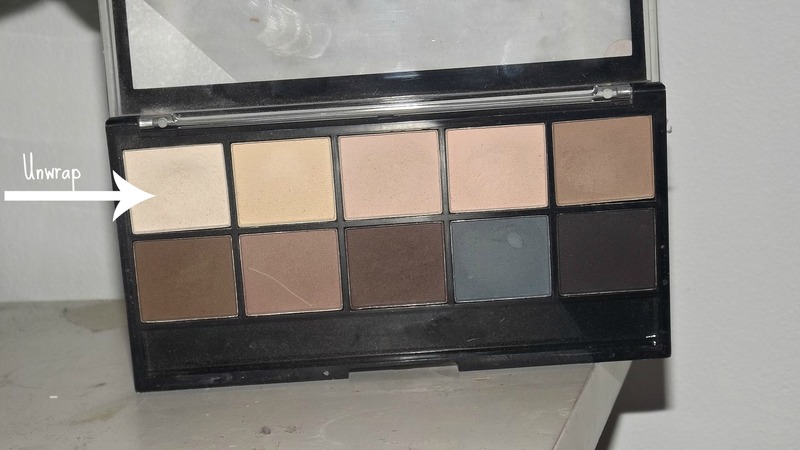 The last step for eye shadow is to take any darker matte brown shade, I chose Truffle from the Ever after palette by Make Up Academy and added this to the outer third of my eye and blended it into the crease into the 2 colours from the storm palette. 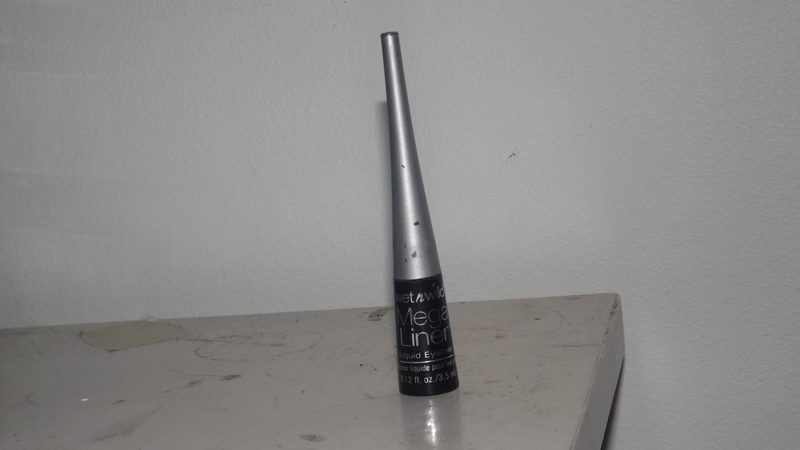 For my eye liner I used Wet n Wild Mega Liquid Liner in black I wanted a simple wing nothing too thick or long so I tried to get the eye liner as close to my lash line as possible. 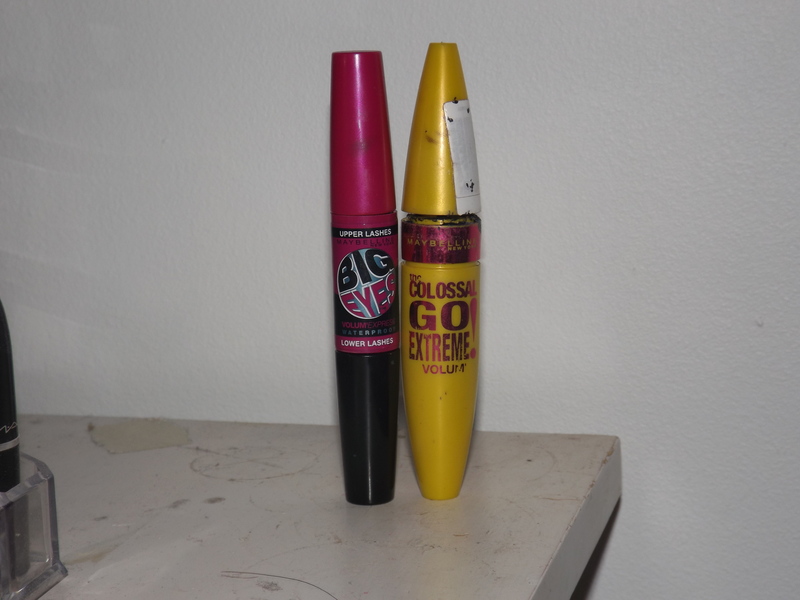 And then to finish the eyes I added my 2 favourite mascaras at the minute which are Maybelline colossal Go Extreme Volum’ Mascara and Maybelline Big Eyes Mascara. 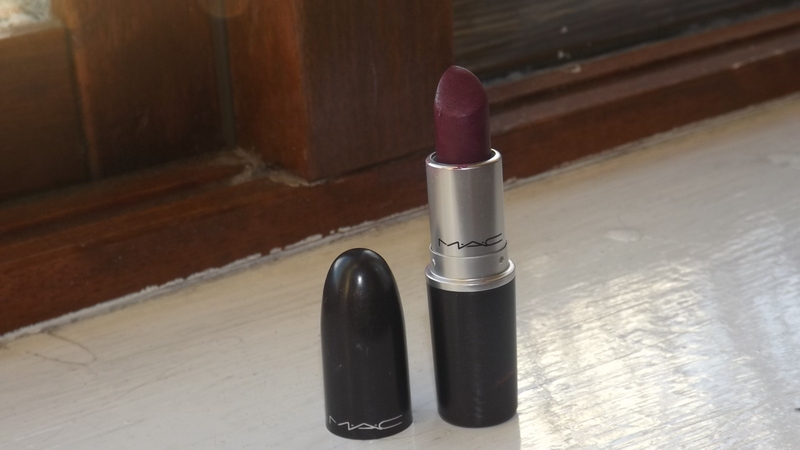 For my Lips I wanted a deep purple so because I didn’t have the shade I wanted I lined my lips with a purple eye liner which is Purple Dash by Mac This is a beautiful deep purple colour exactly what I wanted so I then added Rebel by Mac on top just to add a more berry tone to the lips. 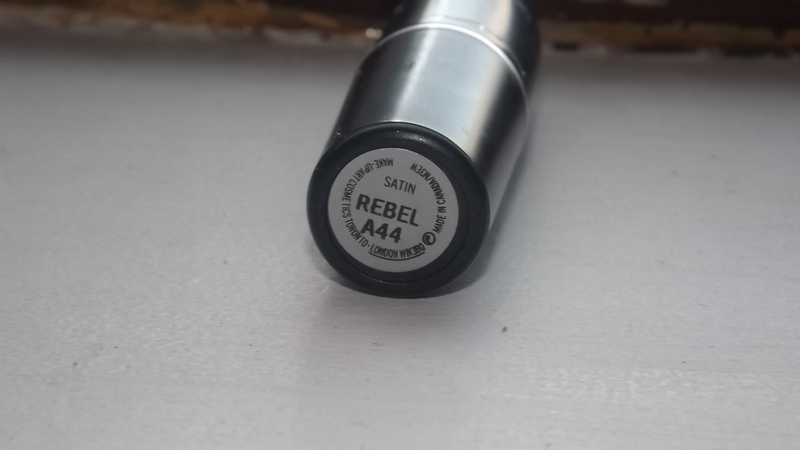 I would advise putting on lip balm before because the eye liner can dry out your lips. And that is the completed look. I hope you all liked this look I will leave some pictures of the finished look below and if you would like to see the video be sure to subscribe to my YouTube channel (https://www.youtube.com/user/KeeleySomers) and that video will be up this week and as always thanks for reading. 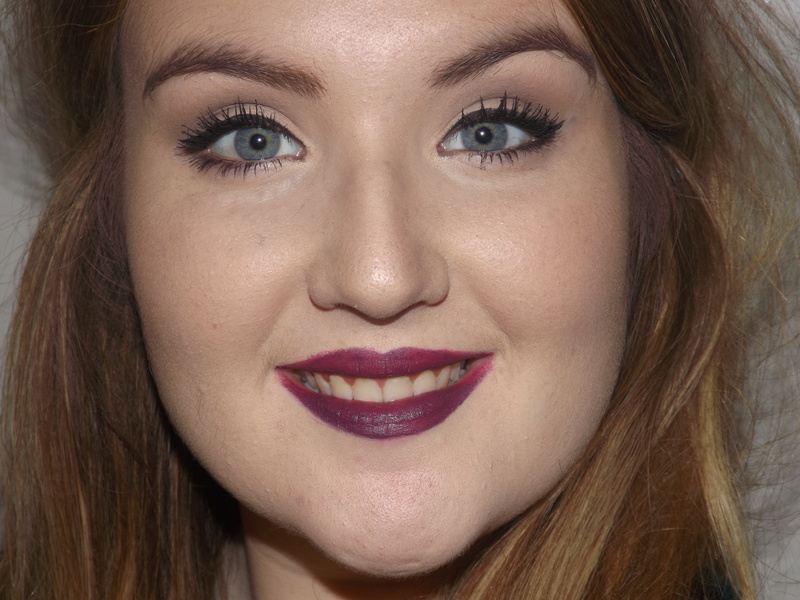 Previous Previous post: Primark Beauty Matte Long Lasting Lipsticks (Review &Swatches). 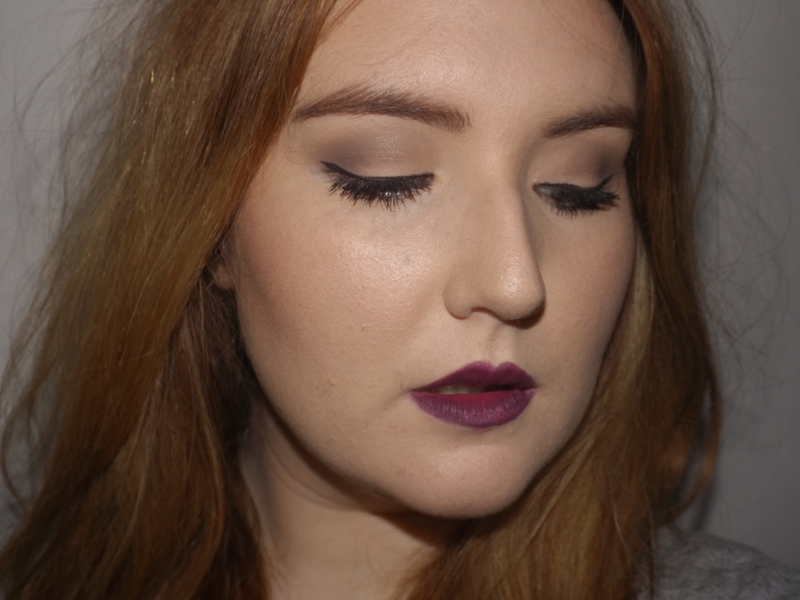 Next Next post: Primark Winter Fashion Haul Video.